Hi guys! I hope you're all enjoying your Halloween weekend. It's only two days but I'm sure that you have a lot of events and family gatherings to attend. We all went to the cemetery today to pray for our dearly departed in celebration of All Soul's Day. The weather's been so unpredictable, one minute it's scorching hot, the next raining hard. It's days like this that I don't want to bother with too much makeup - just sunblock and a bit of cream. 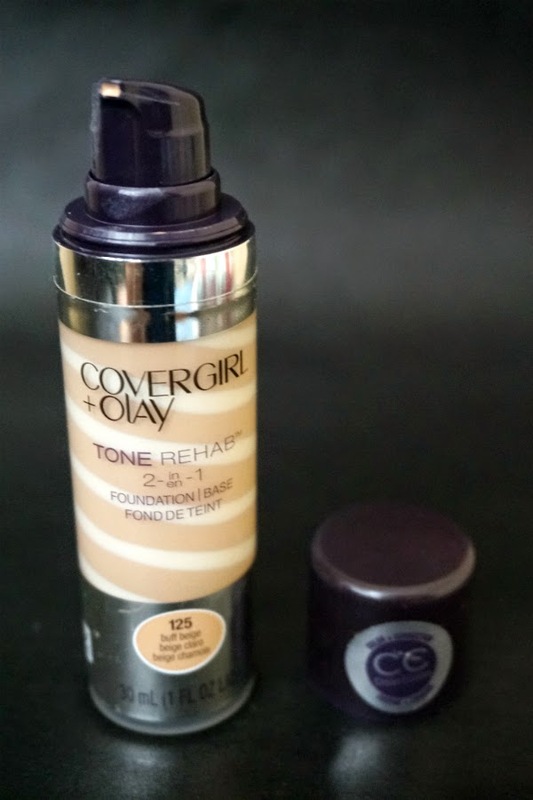 Today, I have for you my potential HG (Holy Grail) foundation: Cover Girl + Olay Tone Rehab CC Cream. I didn't expect it to be this good when I decided to try this so this is totally a happy surprise. Cover Girl has a pretty wide selection of shade for this particular line, 14 shades in total. 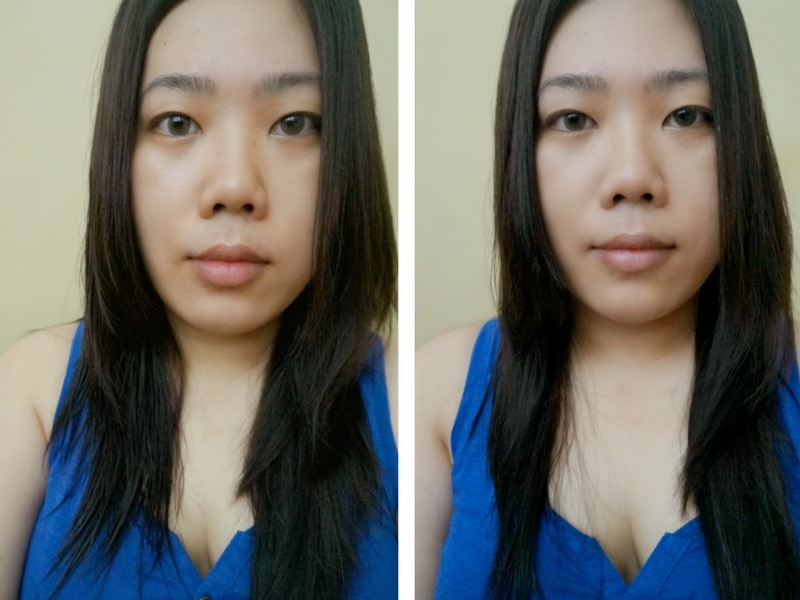 I usually get the second to the lightest shade for foundations and prefer those with yellow undertones. For the Tone Rehab line, the lightest shade is 105 Ivory and the darkest 175 Soft Sable. I got Shade #125 which is described as Buff Beige. 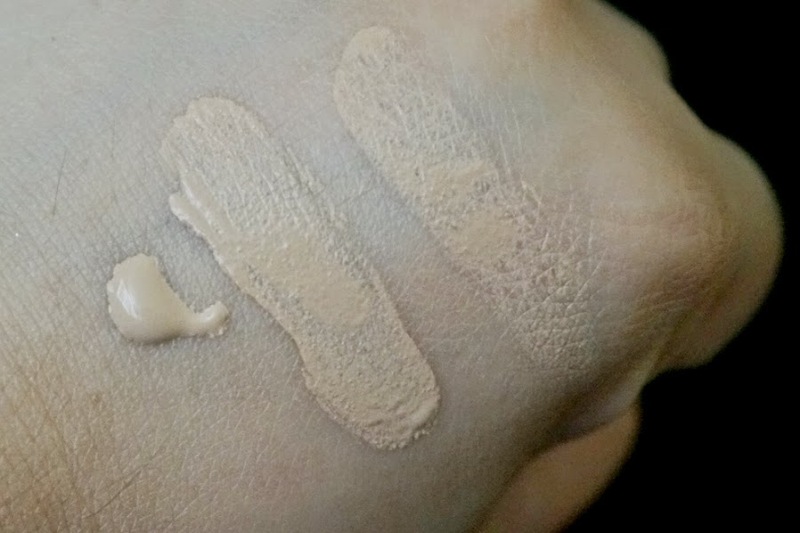 Swatched on my hands, the foundation appears to be creamy and smooth. It is on the watery side but not really runny. No shimmers can be detected. I smelled a slight fragrance, but not to the point of being overwhelming and it disappeared over time so I wasn't bothered by it. 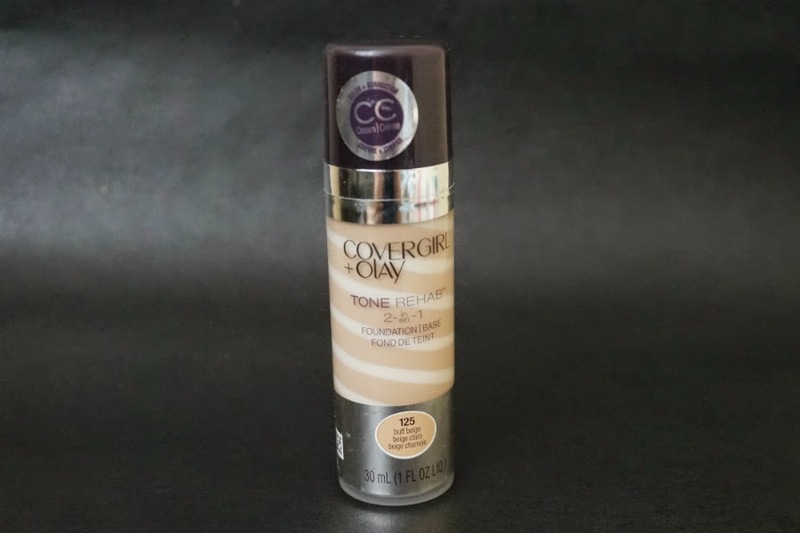 Fast Facts: Beautifully covers up fine lines, wrinkles and blemishes with CoverGirl’s creamy foundation; moisturizes skin and helps even out skin tone with Olay’s intense hydrating serum; fast-absorbing moisture in a creamy formula that blends smoothly; sheer coverage with fresh dewy finish. Buff Beige matches perfectly on my my NC 20/25 skin. I can't vouch for its claim of covering up fine lines and wrinkles because I don't have them yet (thankfully). 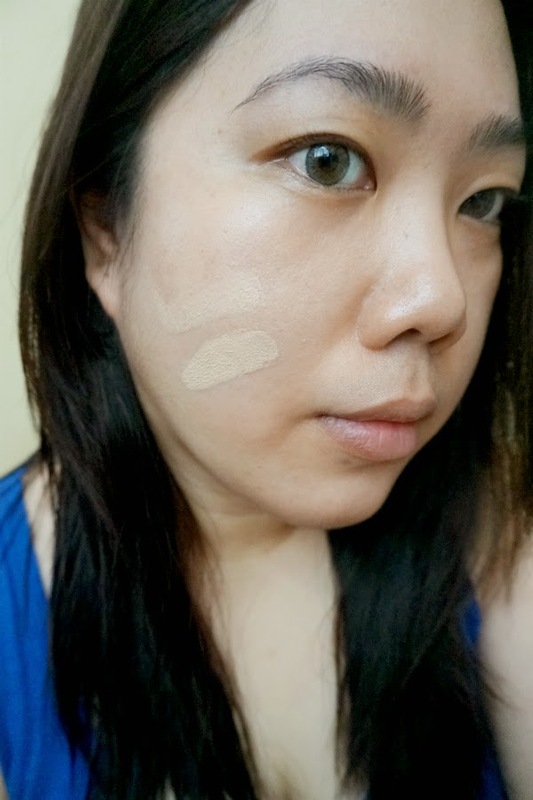 On the other hand, the foundation did provide light to medium coverage against blemishes and slight discolorations. For those wanting more coverup, they can probably build this up to 2 or 3 layers. The cream didn't feel heavy on my skin. Application was smooth and even. 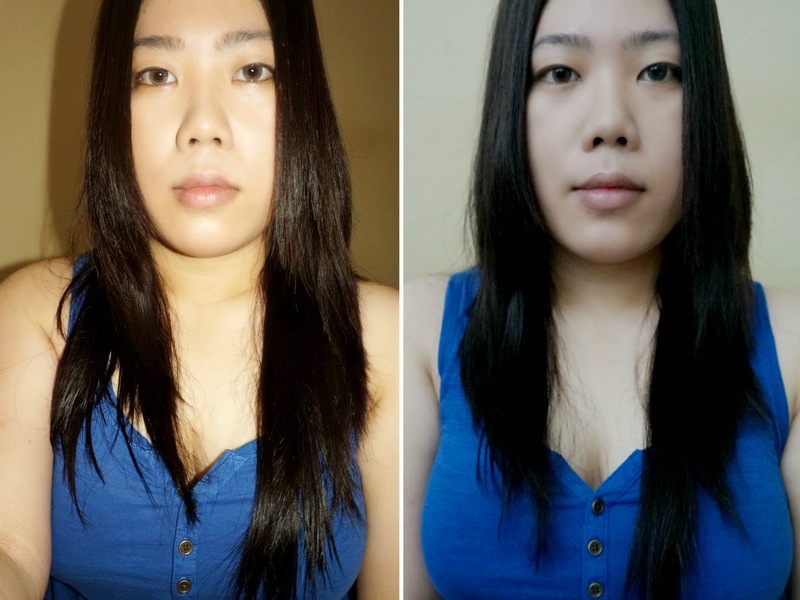 It was absorbed by my skin after a few minutes and consequently felt light and skin-like. 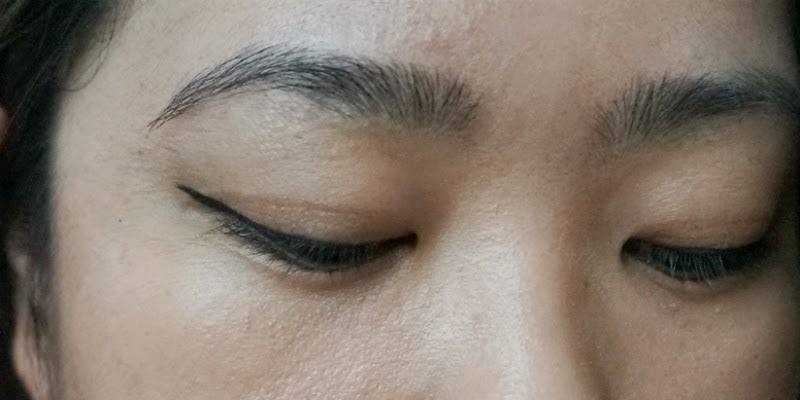 Coverage is sheer, with satiny finish. 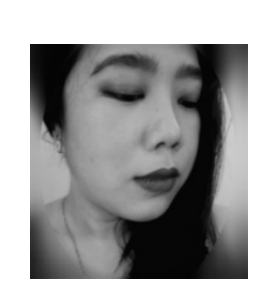 It appears to be slightly matte right after you apply it bit turns dewy after it's absorbed by the skin. I feel that I needed more (twice the amount) of the product than I normally use in my foundations. Maybe it's because the skin absorbs this more, compared to those that just typically sit on top. 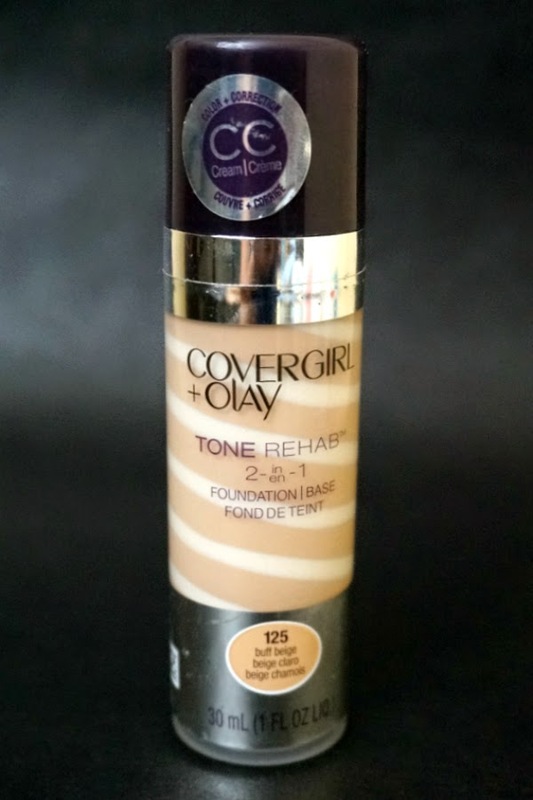 Overall: Cover Girl + Olay Tone Rehab CC Cream delivers light to medium coverage without feeling heavy on the face. It applied smoothly and evened out discolorations pretty well. Wear time is above average. 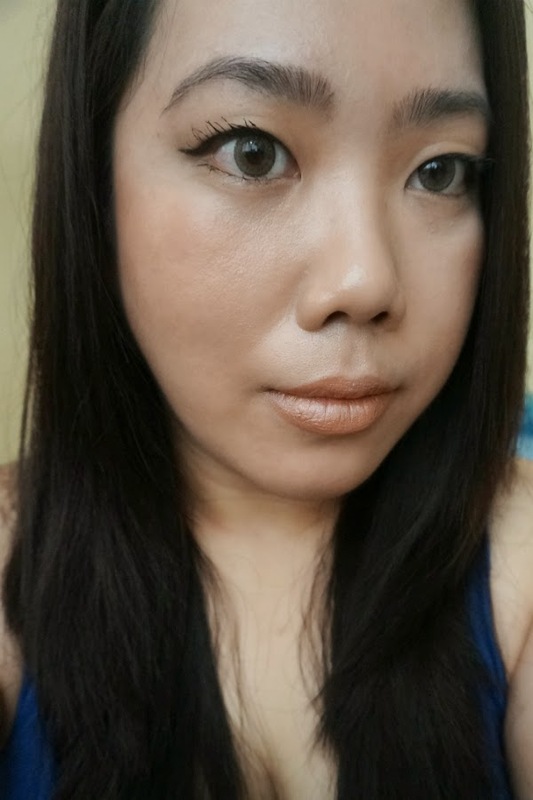 This foundation has great oil control and didn't turn my face into a sticky, oily mess. The longer you wear it, the better it sinks into your skin, making it look more natural. You're left with a smooth, dewy (not oily) finish. I only have to powder my t-zone after four hours or so. A great buy for me, and may even become my HG foundation.